On Wednesday, Oct. 23, ASUCR held its fifth meeting of the quarter at 6:33 p.m.
During the approval of the agenda, CHASS Senator Julian Gonzalez motioned to add Student Resolution (SR) F18003 to the agenda, which states that UCR students stand in solidarity with the American Federation of State, County and Municipal Employees (AFSCME). 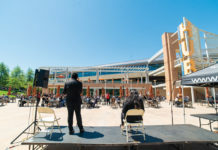 AFSCME Local 3299, which represents university workers within the UC system, was striking from Tuesday, Occt. 23 to Thursday, Oct. 25 that week to protest wages, outsourcing and perceived unfair bargaining practices. CHASS Senator Alex Gonzalez seconded the motion, and it was passed unanimously 11-0-0. 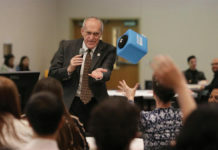 Vice Chancellor of Planning and Budget Gerry Bomotti then came to the podium to discuss his office’s discoveries on UCR’s current budgeting system, which he notes replaced an older model from 2015. During his presentation, Bomotti noted that the current budgeting design “suggests central resources will go into deficit in (the) near future” if not adequately addressed. Bomotti further discussed the current budget model in an email to the Highlander. “The campus did a great job transitioning to the new budget model,” Bomotti wrote, and doing so “was a major undertaking and very complex. Like most things of this type there is often a need tweaks (sic) and to address unintended consequences,” citing the “rise in assessments” for the Student Recreation Center (SRC) as an example; the slideshow he presented states that “indirect costs” for the SRC have gone up from 318,000 in 2015 to 1.07 million in 2018. Currently Bomotti is looking for further feedback on this new budgeting design, and has already gathered feedback from “faculty, staff and students, and in specific (sic) many of the academic senate leadership committees.” Bomotti is planning an open forum for said feedback sometime in November, with further details unavailable at this time. 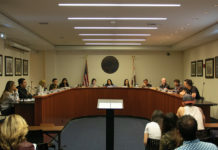 During public forum, Alyssa of the California Public Interest Research Group (CALPIRG) spoke about the Voter’s Project that UCR’s chapter had been running, and reported that as a result of the project over a thousand students at UCR have become registered to vote. This means that the original goal of 500 registrars set by CALPIRG was surpassed by more than double. According to Alyssa, the group has initiated a “Get Out the Vote” campaign all the way up until election day, November 6th, in order to encourage students who registered to now vote. The meeting adjourned at 7:27 p.m. ASUCR meets every Wednesday in HUB 260 at 6:30 p.m.